John Coyne is a seven-time bestselling author who has written more than 25 books of fiction and nonfiction. He is also a friend, someone I had the good fortune to meet after he published a successful golf novel that focused on Ben Hogan. John encouraged me to write my first book. He also helped me get my first literary agent. This is the second and concluding part of my Q&A with John. Read Part 1. Q: Describe your writing routine or process. JOHN COYNE: Well, my website (www.johncoynebooks) and my new book How To Write A Novel In 100 Days go into the writing process for any writer, but I’d say for myself the key has always been to do a little writing every day. I try and write about 1000 words each day. Now, they are not finished copy, but once you have something down on paper (or in a computer) you own it and second drafts are a lot easier than just having a blank page. Q: What is your approach to research? JOHN COYNE: I research while I write, as I need the information. The wonder of the Internet is that what you need to know is just a click away. Also, I have a rather extensive library of books on topics. For example, I must have 200-plus books on the history of golf. If nothing else, golf has a lot of facts and figures. Q: How do you prepare for interviews? 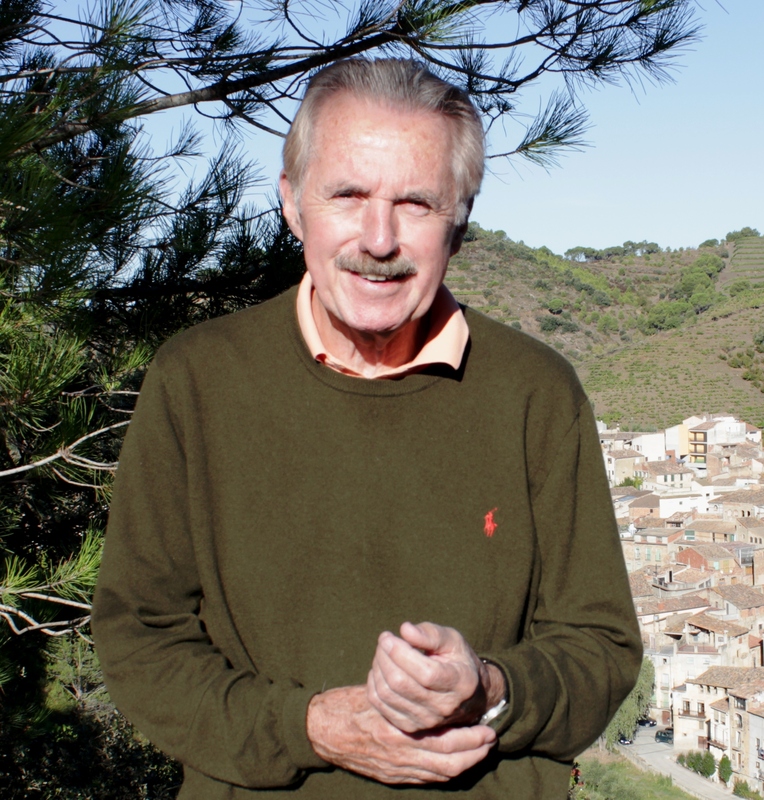 JOHN COYNE: If I am talking about my novels, I really don’t prepare. After writing one, I know everything that I need to know about the book. However, if I am going to talk about golf, golf history, a particular tournament or player, then I try and have the facts of the situation close at hand. At my age, just remembering where my car keys are is a daily struggle. Q: Tell about your work space or where you like to work. What’s on your desk or close by? JOHN COYNE: I have a small office on the second floor of our home and it is jammed with book shelves and filing cabinets. I have one desk and I operate with two computers. Why two? I have no idea but I just got a new computer and half of the stuff is on the old computer and I’m too lazy (or inept) to coalesce the files. Q: What has to happen for you to feel like you’ve had a good writing day? JOHN COYNE: Write one thousand words before noon so that I can play golf in the afternoon. JOHN COYNE: When I was a lot younger, I read novels. Now I tend to read non-fiction. And the truth is, when I’m writing, I just don’t have time to read much between the daily New York Times, New Yorker and New Republic. These magazines seem to find a way to stack themselves up around the house demanding to be read. Q: Share a tip or word of advice for an aspiring or less-experienced author. JOHN COYNE: Try to get published, anyway. Write for the local newspaper, send in a letter to the editor. Whatever you can get published. Also, join a local writing group (they are everywhere) as then you can get feedback on what you have written. That’s very important for all of us, however long we have been at the game. JOHN COYNE: Breaking par for eighteen and publishing a bestseller. I’ll take either one and be happy. JOHN COYNE: The Internet and Print-on-Demand as well as ebooks and various other forms of self-publishing have changed forever the publishing world. I am not sure how the world of books will change but I do know that the world still needs stories to read or watch. Therefore, the world still needs creative writers. So keep writing. When John isn’t writing, there’s a good chance he’s playing or watching golf. Recently, he was kind enough to answer my questions. Q: What is your current project, and how did it come about? JOHN COYNE: I just finished a non-fiction book entitled: How To Write A Novel In 100 Days. It only took me 356 days to write! I’m now working (and have been working for about six months) on a novel entitled Long Ago and Far Away, which is set in Addis Ababa, Ethiopia; Westchester, New York; Menorca, Spain; St. Louis, Missouri; Washington, D.C.; New York City; and Kentucky. As the heart of the novel is a murder mystery that is relived and tracked through thirty-plus years of two characters who were not involved in the murder, but whose lives were shaped in many ways by the event. There is no golf angle in this novel. Q: What drew you to the story? A few years ago at a used book store, I came across a copy of a small guide book that was published in 1965 or so. I had never seen the book before or knew about it. Of course, Ethiopia, like the rest of the world, has changed. In fact, they are building a subway in the capital now which to me seems beyond comprehension. Having the book, I began to think it might make a nice plot device and from that, I began to churn up plot ideas. Q: Share a surprise and a challenge. JOHN COYNE: When I started working on the book, I thought it was going to be mainly about the male character, but the female character became much more interesting to me, and the center of the plot—was it a murder?—became the focus on the story. I didn’t know any of that when I wrote the first sentence. The story itself told its own story, I guess. Q: What drew you to writing and how did you get started? JOHN COYNE: I remember when I was about ten or eleven reading a novel and being swept up with the prose and thinking not “oh, how beautiful this is said,” or even “I wish I had written that,” but thinking “to write this a person would be very powerful.” Odd that a little kid might come to that conclusion, but for me the ability to write such prose made a person “powerful.” I guess what I thought was that to write in such a way made a person important. Q: How did you become a writing instructor? JOHN COYNE: I have helped, in some minor and major ways, friends start and/or finish their books and over the years I have developed a series of suggestions that I think work for all writers. So, I pulled them together recently into How To Write A Novel in 100 Days. TO BE CONTINUED. Next time I’ll share what John said about the writing life. My friend and writing mentor John Coyne has published a new writing guide. Now there is a practical, inspirational and dependable guidebook that will skillfully coach the first-time novelist from idea stage to publishable manuscript. 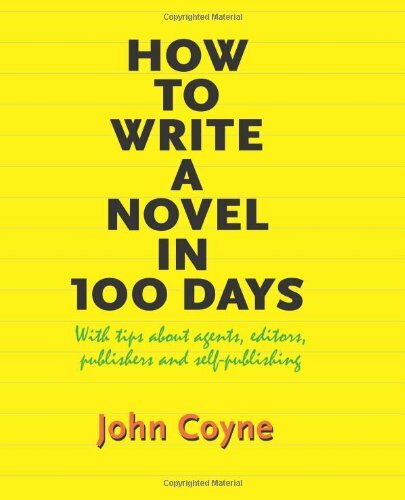 In HOW TO WRITE A NOVEL IN 100 DAYS, seven-time bestselling author and veteran writing teacher John Coyne guides the beginning or experienced novelist with a proven daily formula that he has used to write and publish a dozen widely read novels. Packed with advice, tips, encouragement, tasks, wisdom, questions and inspiration from Day 1 to Day 100, Coyne’s easy-to-follow manual will steer writers of all abilities to a finished, full-length, publishable manuscript in just over three months. That fundamental belief and Coyne’s unwavering encouragement permeate HOW TO WRITE A NOVEL IN 100 DAYS. It’s like having your own personal writing coach constantly at your side. Coyne has devoted a lifetime to the written word—as a student, a writer, an author, an editor and a teacher. He earned bachelor’s and master’s degrees in English literature. He has been published in national magazines such as Smithsonian, Glamour, TV Guide and Travel & Leisure. He is the bestselling author of 12 novels and a total of more than 25 books of fiction and nonfiction in many genres, including mystery, horror, romance, sports, history and instructional/how to. I recommend John’s book. I write nonfiction rather than fiction, but John has terrific guidance for writers of all stripes. In fact, I used his tips (in an earlier form) to help me write my first book, a sports narrative that was published by St. Martin’s Press.